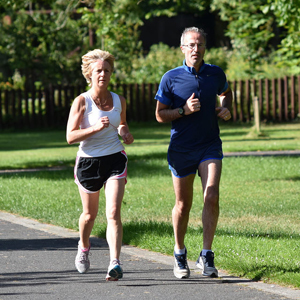 This month we meet two Gala parkrunners of the month, Intersport has a 10% discount offer exclusively for parkrunners, registration is open for the Rock ‘n’ Roll Dublin Half Marathon, and RTÉ presenter Anne Cassin tells us what she loves about parkrun. “Wake up. Come to. Think. Ah, it’s Saturday, don’t have to go to work. Lie-on. Blink. Gawd. And so the internal conversation goes and it ALWAYS ends the same way. 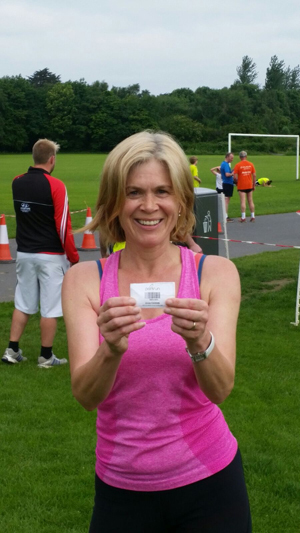 I get up, go to Marlay Park in South Dublin, run parkrun and I ALWAYS feel better after. I’ve done 78 parkruns now, having come across the event when making a programme for RTÉ Nationwide in 2014. The colour and community participation of the event appealed to my television head, but after the broadcast I continued coming every Saturday morning. Two and a half years later, Marlay parkrun is solidly embedded in my weekend routine. I’ve watched my 5k times improve – about 26 minutes on a good day! I’ve surprised myself by discovering a latent competitive spirit and I’ve enjoyed volunteering the times I’ve been on set-up and token-sorting duties. I would definitely urge others to do the same. I’ve deepened friendships and met new people. I’ve been part of a community event and improved my own fitness. For mental and physical well-being you can’t beat parkrun. And it’s free! Were you a first-timer last weekend, did you run a personal best or do you have any other feedback? We would love to hear from you so please get in touch. 31-year-old Carla Gunning and four-year-old Zach have been participating at Castletown parkrun since January 2016. parkrun kickstarted Carla’s love of running and since being introduced to parkrun, Zach has joined a little athletics club. Zach enjoys the role of parkrun marshal as he likes to see all of the runners in action and loves cheering them on. It is the positive, all-inclusive atmosphere and encouragement at parkrun that keeps Carla and Zach coming back every week. 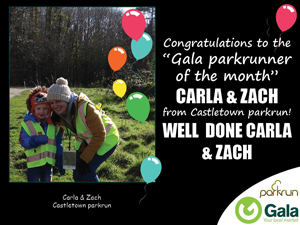 Well done Carla and Zach – Gala parkrunners of the month! What a month June was! It was fantastic to see so many parkrunners at our Intersport stores across Ireland, making the most of your 20% parkrun offer and chatting to us about your running goals and achievements. We hope that you are enjoying your new pieces of kit at your weekly parkruns! We’re now into July and are delighted to confirm that parkrunners can continue to claim 10% off as an ongoing parkrun partnership price #PPP*. 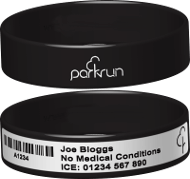 Simply show your parkrun barcode in store any time to claim your community offer. With the longer days and (mostly) better weather, summer is a great time to get out there training. Why not treat yourself to some new high-performance gear and feel the difference – we’re seeing running shorts, moisture-wicking vests and hydration equipment flying off the shelves right now. As always we are here to help with kit and advice about all things running. Pop into your local store for a chat (find your nearest store here) – and don’t forget your barcode #DFYB! Remember to keep the pictures coming on Twitter @Intersport_UK #loveparkrun and make sure you like us on Facebook to keep up with what’s going on. Ready for an extraordinary running experience? Sign up for the Affidea Rock ‘n’ Roll Dublin Half Marathon, all new 10K and Family Fun Run on 7 August. The course is fantastic with live music every mile, a finish festival concert and brilliant medals. 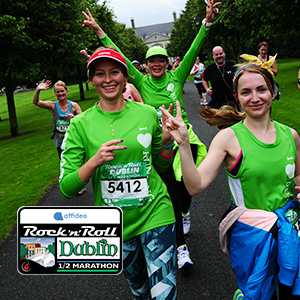 Rock ‘n’ Roll Dublin offers an entire weekend of running including a new Saturday 5K. Collect finisher medals for all distances, and an extra Remix Medal for completing the Saturday 5k and any distance on Sunday. That’s one weekend. Two races. Three times the bling! There’s loads new this year. Aside from the new 5k and 10k distances, there’s a Saturday afternoon Pasta Party at Trinity College, a packet by post option for the half and 10k, race day pick up for the 5K and Fun Run. If you prefer to pick up your packet early and in person, you can do that too, at Trinity College on Friday and Saturday. Save €2 using the online code parkrun. Click here to sign up or learn more. 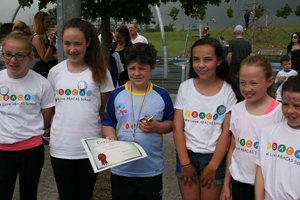 All of the staff, students and families from ABACAS Special School Kilbarrack would like to say a huge thank you to Aoife and all of the volunteers at Father Collins parkrun for their amazing hospitality on 11 June. Earlier this year Margaret, a teacher at ABACAS, decided to start a running group with a small number of students from our school. Our students have autism and complex needs – we hadn't dreamed that only a few months later they would be taking part in their first 5k. With Father Collins being our local parkrun and having previously ran there myself, we knew this would be the perfect location for the students to complete their graduation run. The main focus was to celebrate the amazing achievement of our students, but we have also been raising money to put towards a new school to replace the run down prefabs that are no longer suitable for the students. We gathered the troops and everyone at Father Collins welcomed us with open arms. Thank you, thank you, thank you! Father Collins is a lovely course and I cannot commend the volunteers there enough – every single one of them. Aoife, Al, Matt, Witek, Rachel and all of the volunteers who were so patient with us and give their time every week to ensure things go smoothly, you are all amazing. Thank you! Bernie Hall and I are presently taking part in the Go Active Ireland 32 County Challenge. The challenge involves completing a timed run in each county in Ireland within the year. We have travelled the length and breadth of Ireland and have completed twenty counties. On Saturday 25 June we took part in Castletown parkrun in County Kildare. A great bunch of people where a warm welcome was extended to both of us together with folks from New Zealand, South Africa and Spain. This typifies the ethos of parkrun. It was a beautiful day and a scenic route. We enjoyed refreshments in the cafe after the run. It was a great start to our weekend as we stayed in Maynooth overnight and headed off to Dunlavin, County Wicklow for a run on Sunday morning. The weather was not as kind to us but the friendship and again good hospitality made up for that. We would highly recommend this challenge, but it is a big commitment and you will cover a lot of miles both by car and on foot. Has parkrun had a positive impact on your life, or do you have a funny or memorable parkrun experience or achievement you'd like to share? If so, please pop us an email and we'll publish a selection in future newsletters. Favourite volunteer role: We really don’t mind any role as all seem to have enjoyable aspects to them. Overall maybe pacing would come out on top, it’s a great feeling just to know you have helped someone get around the course and even better if they manage to get a PB. What do you do at parkruns: We have both done timekeeping, barcode scanning and pacing. How has parkrun changed your running: I think we both agree that parkrun has helped to push us more during a run. Prior to that we were quite happy to just saunter along at any pace, taking in the scenery and finishing when we felt tired. We often left the house intending to run 5k but extended this as we went along, depending on how we were feeling and finishing up having done 20k. parkrun has not only changed our running, it’s also part of our weekly routine. We have many a conversation about parkrun, analysing this and that and often laugh at ourselves; it’s as though we were preparing for the Olympics! What do you like about parkrun: We both really enjoy the camaraderie that seems to be such a natural part of parkrun. It’s been great meeting new people and getting involved in such a positive activity. It means a lot when people you hardly know offer genuine encouragement, particularly the volunteers at the start/finish, it’s often their support that keeps you going especially as we start the third lap. It’s great to start the day with parkrun as it seems to give you a boost for the rest of the day. It’s great for mind, body and soul. Also, now when we’re talking to friends or visitors at Tralee we make sure to tell them about parkrun as the atmosphere there definitely reflects Irish hospitality at its best. Recently I had told some Finnish visitors about this event, and they came along and thoroughly enjoyed it despite the heavy rain during the run. parkrun is such an inclusive event, from the elite trailblazers who do amazing times to the buggy pushers or dog walkers. It doesn’t matter, it’s all one community hoping to get to the finish line in one piece. Most memorable or funniest parkrun moment: We were in the UK the weekend after the Boston Marathon bombings and attended the parkrun in Valentines Park in Ilford. We weren’t in great shape having had a late night in London and worse still parkrun there starts at 9am! We had a sense of achievement even getting to the start line on time. On this occasion the run director was a fairly elderly man who respectfully suggested we start the parkrun with a minute silence in memory of the Boston Marathon victims. This was a very poignant moment that seems to capture the essence of what parkrun is all about. The run director’s associate then proceeded to tell us that this ‘elderly’ man was over a hundred years old and wouldn’t on this occasion be joining in on the parkrun as he was running the London Marathon the next day. Needless to say we were flabbergasted and humbled, we thought we were doing well to get to the start line, only to meet such a motivating character; so much so that Deirdre managed to get a PB thanks to the run director’s inspiration. How did you get involved in parkrun: Our introduction to parkrun was in the UK. We had never heard of it and were running in the park on a Saturday morning when we saw at least 200 people doing the same. We happened to be passing the start line when in the spirit of parkrun we were invited to join in. They explained how it all worked and were very encouraging and from that day we were hooked. The best news for us was when Tralee parkrun began as we enjoy it so much. A special thank you to Siobhan Kearney and everyone involved in bringing this event to Tralee.